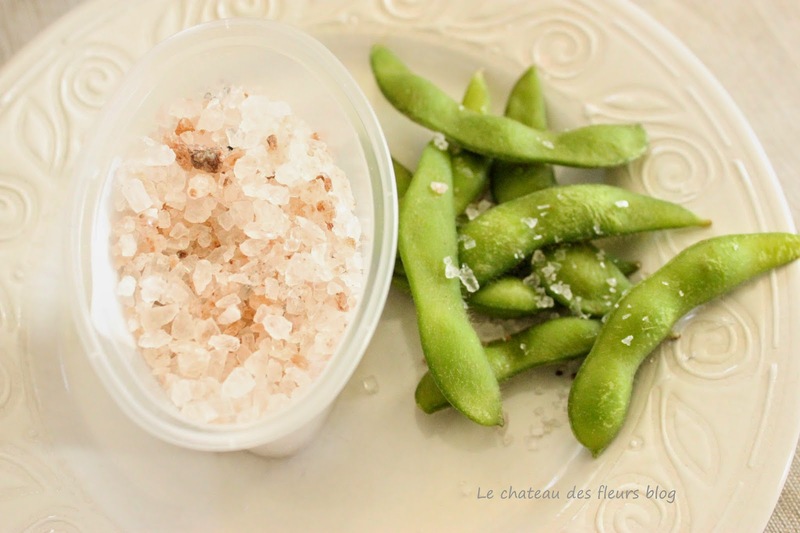 Organic Edamame and pink local salt. You can get amazing and tasty salts of beautiful colors like pink and black. I love eating Edamame with a fancy coarse salt. Does Pink Salt taste different? We love Edamame in our family and make it occasionally! I never had pink salt before, but I bet it's really good.